Every day the Lion children help teacher Khushbu take care of the garden. 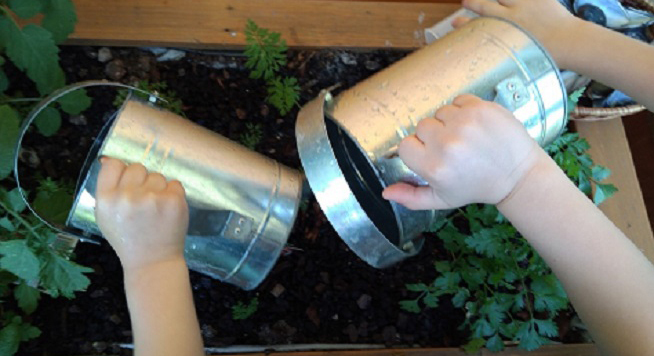 The children take their watering cans out into the yard and water the plants as well as pull up any pesky weeds growing there. We are currently growing carrots, parsley, tomatoes and watermelon. The plants are looking very healthy because the children take good care of them! Teaching children about caring for living things and the environment ensures they become kind and responsible members of society!